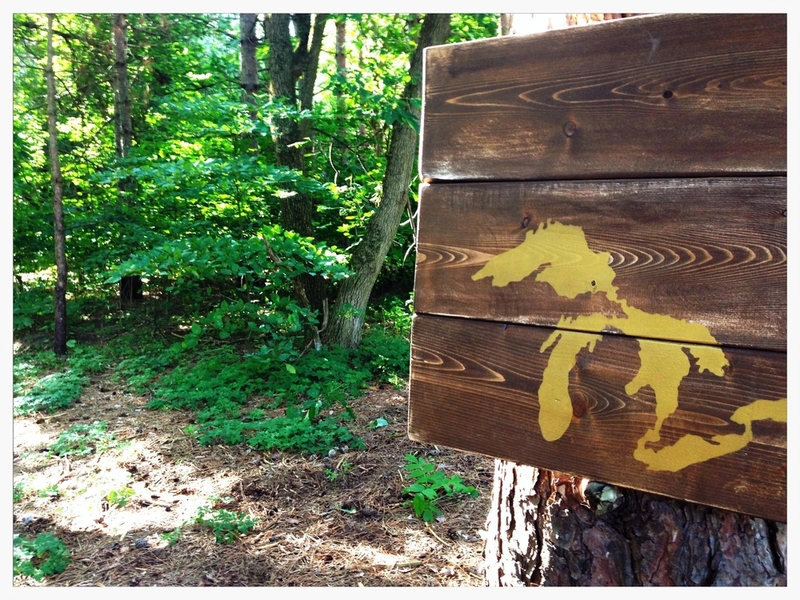 At True North Trappings, we work with our clients to create rustic, modern art that tells a truly Canadian story. Every piece is made to order in our Ontario studio, every piece is rugged by design, and every piece is one of a kind. Our galleries below showcase some of our most recent work. To order, please visit our Shop page. 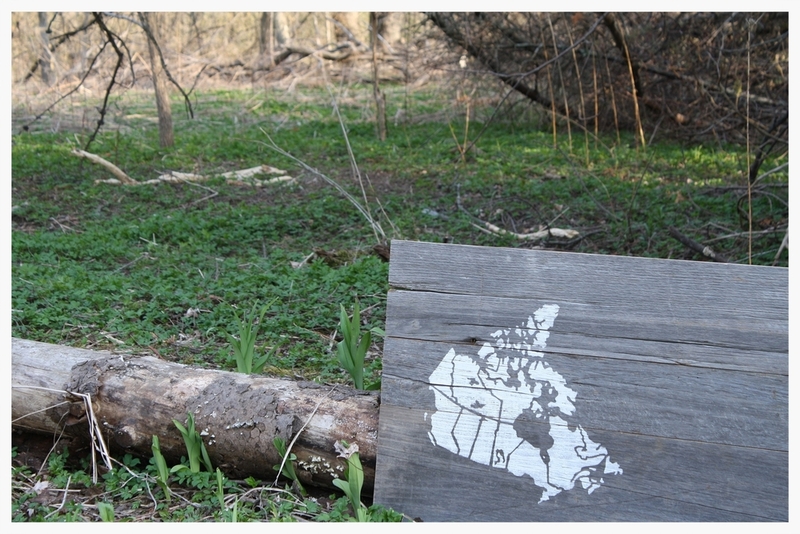 Isn't it time you let your Canadiana show? 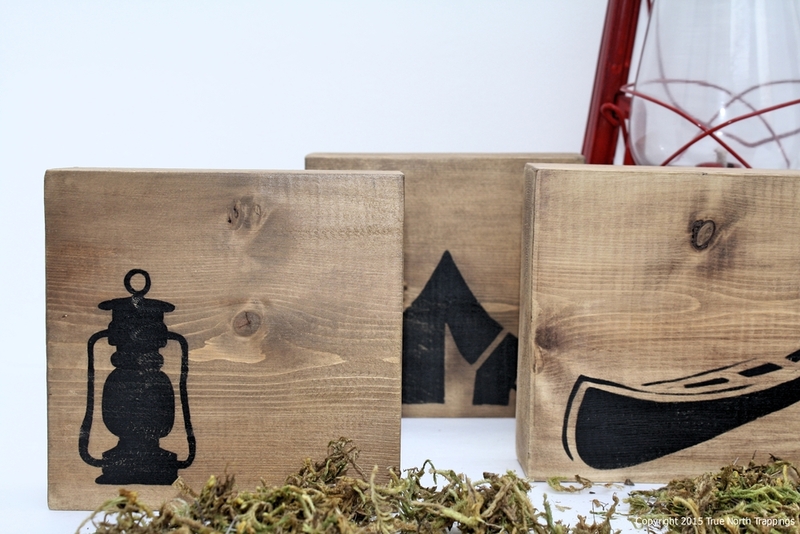 Tell your own Canadian story with our collection of Canadiana Art Blocks. 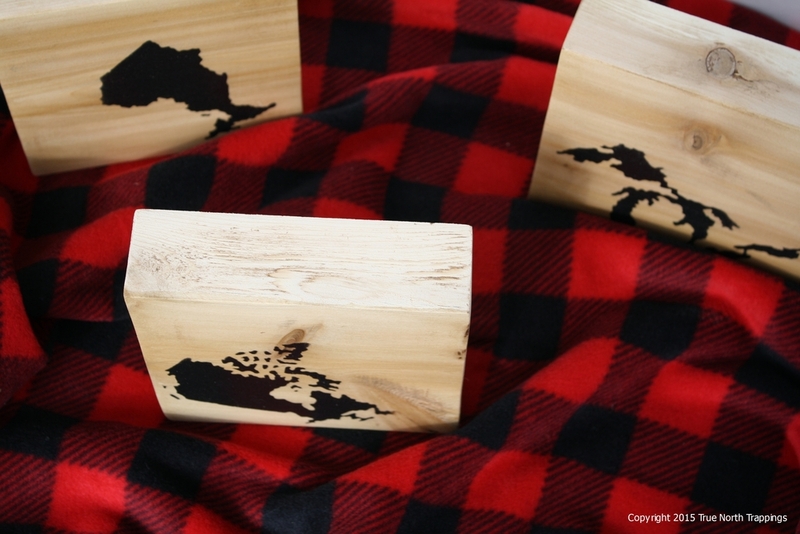 Crafted of Canadian soft woods like Western Red Cedar and White Pine, each one-of-a-kind block sits just 6"x6" square, and features one of our signature hand drawn silhouettes in bold acrylic colours. Mix and match from any of our designs to build your story, then hang them on a wall, stack them on a bookshelf, or line them up on a mantel. It's the perfect way to let your own Canadiana show. Reclaimed Barnboard from Hastings County | 20"x32"
Reclaimed Barnboard from London | 16"x24"
Reclaimed Barnboard from SW Ontario | 21"x32"
Reclaimed Barnboard from Kent County | 15"x24"
Reclaimed Barnboard from Owen Sound | 19"x48"
Reclaimed Barnboard from Ingersoll | 24"x48"
Reclaimed Barnboard from Brighton | 16"x42"
Our Heritage Collection features our hand drawn designs painted on historic, reclaimed barn board from Ontario farms. The barns date back to the early 1900s, and when they tumble, the wood is collected, cleaned and dried. We select planks with loads of character - saw marks, wormholes and original paint remnants make each canvas a truly one of a kind piece of our Canadian heritage. Our Classic Collection showcases our exclusive True North Trappings designs on distressed virgin timber. The canvases are crafted with Canadian soft woods likeWhite Pine or Western Red Cedar, from trees that have been grown and milled in Canada. We select planks with beautiful grain patterns, rich colour and interesting knots or burls to create each one of a kind, rugged canvas.